Outfielder Melky Mesa was named to the league’s Post-Season All-Star Team. Second baseman Alexi Casilla and Outfielder Jared Mitchell were named to the Red, White, and Blue All-Defensive Team, which commemorates the red and blue stitched Rawlings baseball that was adopted as the league’s official baseball in 2015. Both awards, announced earlier this month, were based on voting from the league’s club managers and executives. 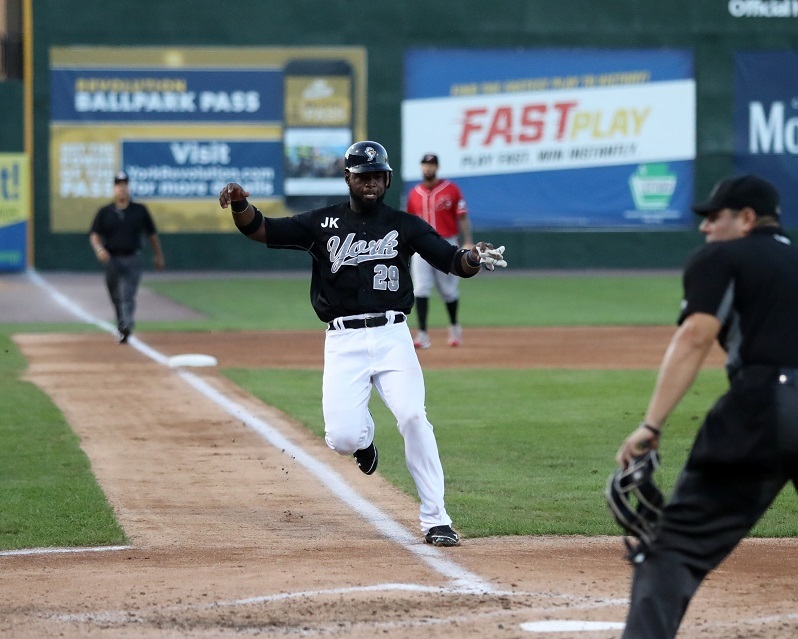 Mesa finished the 2018 season ranking third in the Atlantic League in batting average (.337), home runs (20), runs scored (85) and total bases (221), while ranking second with 89 RBI and leading the league with 48 extra-base hits and a .577 slugging percentage, all despite missing time early in the season while overcoming injury. Named the Revs’ 2018 team Player of the Year, Mesa put on a performance ranked among the greatest offensive seasons in franchise history. His .337 average ranked tied for third in Revs history and was the highest by a Revs batter in five years, his RBI total ranked sixth highest, and his slugging percentage ranked second-highest in a season in Revolution history. He also became the first player in club history to lead the league in extra-base hits. Casilla led all Atlantic League second basemen with a .983 fielding percentage, highest by a second baseman in Revs history, committing just six errors in 363 total chances all season. The Major League veteran accumulated 149 putouts and 208 assists while helping turn 57 double plays, as well as the first triple play in Revolution history on September 12 vs. the Road Warriors. In addition to the routine plays, Casilla often wowed the crowd by making spectacular plays as well. On top of his stellar defense, Casilla finished the season ranking fourth in the league in batting with a .336 average, fifth-highest in Revs history. Casilla becomes the first second baseman in Revs history to be named to the league’s Red, White and Blue All-Defensive Team. Mitchell led all Atlantic League outfielders with a .996 fielding percentage, also highest by an outfielder in Revolution history, making only one error in 223 chances over 116 games played defensively. 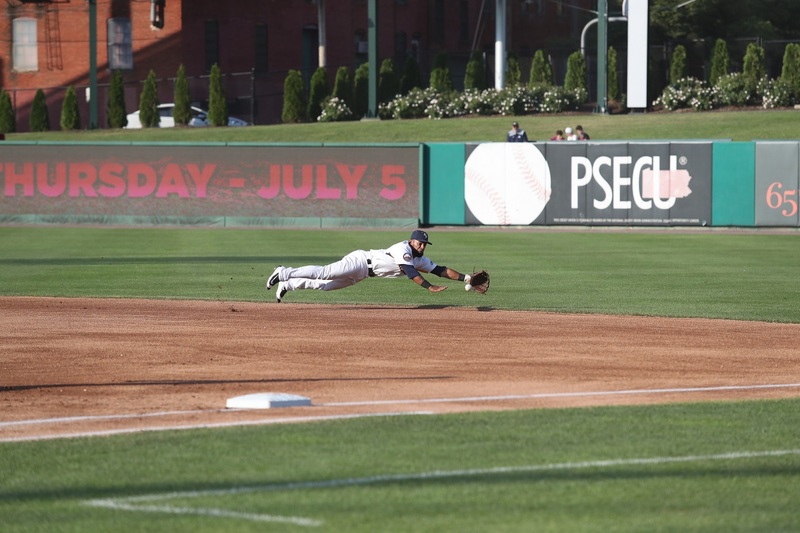 He is the first outfielder in Revolution history to lead the league in fielding percentage. 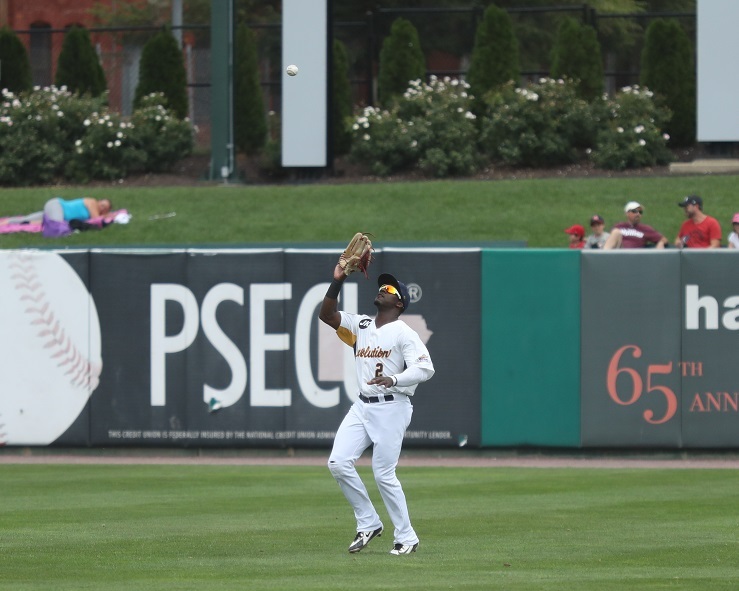 Mitchell logged five outfield assists along with 217 putouts and provided the Revs defense with tremendous range from his right field position. The Revs, in conjunction with the Atlantic League also announced the 2019 season schedule which begins on Friday, April 26 when the Revs host the Long Island Ducks on Opening Night. View and print the entire 2019 season schedule here. This entry was posted on October 23, 2018 by blogtoblogchamps. It was filed under Atlantic League News, Player News, Team News .